This poem below was written in memory of Christopher by his daddy. If only God with His mercy and love would say I could. God must know this bitter separation has broken my heart. I just can't believe you can be truly happy there.......without me. Below is a poem that I am dedicating here to Ron, from Christopher. 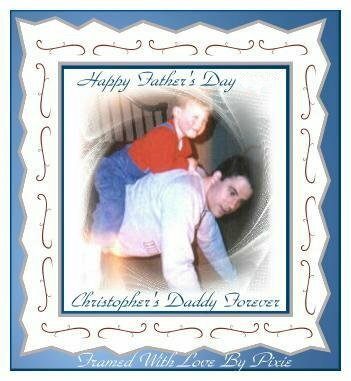 I can imagine very much Christopher saying these words to his Daddy. to use her heart-felt words on this page. you would take my hand. Trying to always protect me from harm. Oh my dad is the best in the land. I always looked up to you, Daddy. For your strength and love. you knew what I was speaking of. My precious Daddy and me. Oh the special love we share. Oh yes, you were always there. Now, Daddy, I live in Heaven with Jesus. And I see you're lost without me. Just know I am always near. And I forever will be. I walk along side of you. 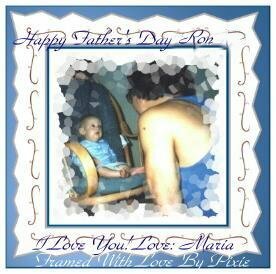 Remember Daddy, I still look up to you. And lead you along life’s pathway. 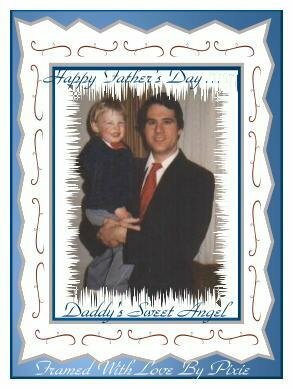 Dedicated to ALL dads who have lost a child. 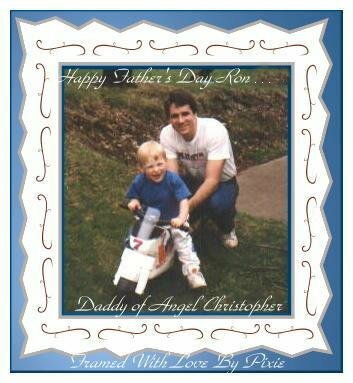 in honor of Christopher and his Daddy on Father's Day. In fact I'm just a prayer away! I'm thinking of you today. Your poetry touched me so much all I could do was cry. Maria made the most beautiful page I've ever seen. What a great honor. Your poetry spoke of love so beyond words and it truly moved me. and the Good Lord must be so proud of you, your strength and devotion. 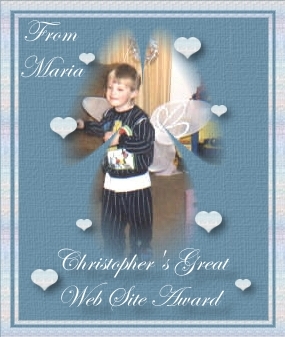 and I think this is my best so far and that's why I believe that little Angel Christopher was really at my side. God bless you both and may God watch over you and hold you both close to Him. Muchas gracias to Rosemary for the making the background for this page for me! 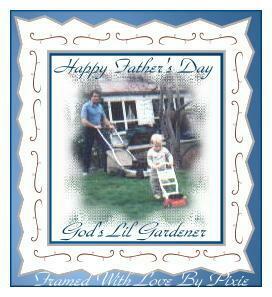 And for all your help in removing the dates from the frames too, I really appreciate you doing that for me as well. with all the wonderful picture frames? You truly amaze me!